I need to create a raster layer with cumulative values for 72 viewsheds. Each viewshed is from a different point along a line and has been clipped to a 20km buffer from each viewing point. 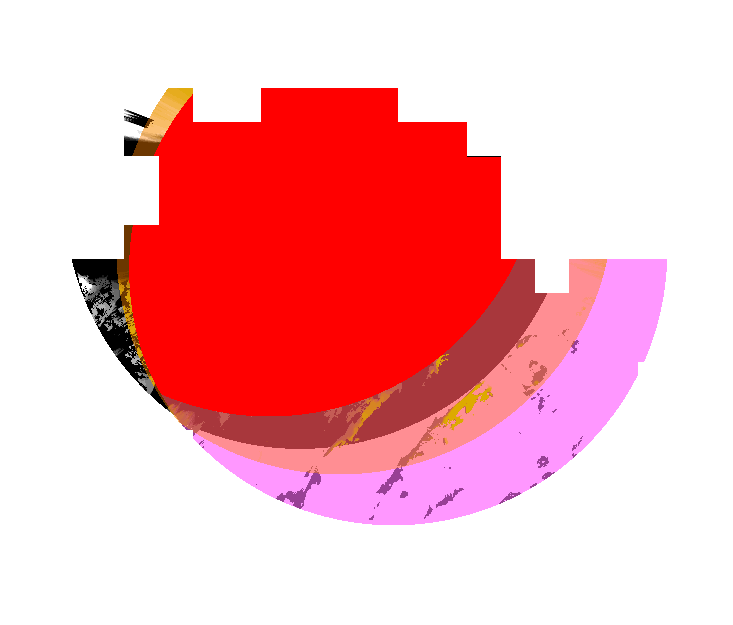 When I try to add them all together in raster calculator in QGIS, I am left with a raster that only covers where each viewshed overlaps (see image below with 3 of the rasters covering different areas and the result from the raster calculator in red where they overlap.). I need the coverage to be over the whole area so it will tell me where only 1 point is visible in an area all the way up to potentially all 72 being visible. Is there a way to do this is QGIS? This can be done, but doesn't need Raster Calculator. You could sum individual visibility rasters, but it isn't necessary as there's an easier way. 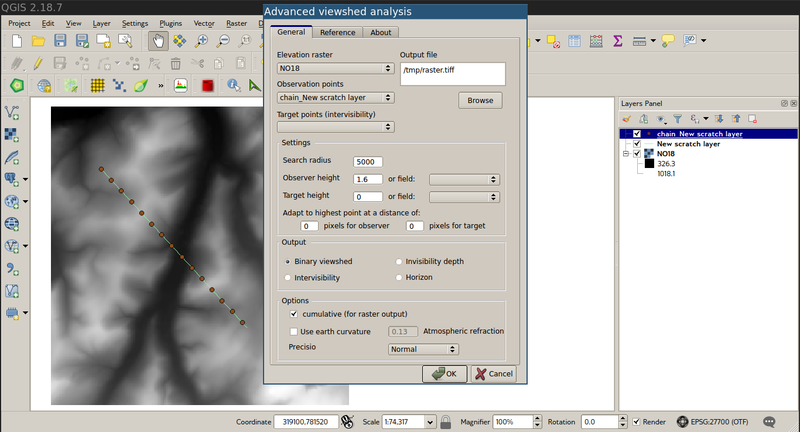 You can use the QGIS Plugin Advanced Viewshed Analysis which has a cumulative option. There are other viewshed algorithms (SAGA and GRASS) which might allow this too, but from memory, the plugin is best for this type of analysis. The raster output cells contain the number of viewpoints which are visible at that cell. Note : this plugin assumes square cells, so it works best on UTM rasters where the x-pixel and y-pixel sizes are equal. Not the answer you're looking for? Browse other questions tagged qgis raster viewshed calculator or ask your own question. Can Viewshed produce area results per point feature? How to create separate viewsheds for individual points? Determining which specific features are visible from observer points using ArcGIS 3D Analyst? Creating cumulative viewshed (non binary) using ArcGIS Desktop? Finding point with largest viewshed using QGIS?